Roger writes; " ..some time has passed since my first book was published. I have been working on the 2nd, but it is not yet finished. However, a digital version of the first book has just been released today at Apple's itunes store. It is available in 50 countries, among them of course the UK and USA. The digital edition is an even better value than the printed edition (at less than 50% of the price of the printed book) and on top of that offers 13 additional photos that have not been published in the printed book, but were sent to me afterwards. They show some of the aircraft shown in the printed edition from different views and sometimes reveal additional information (e.g. 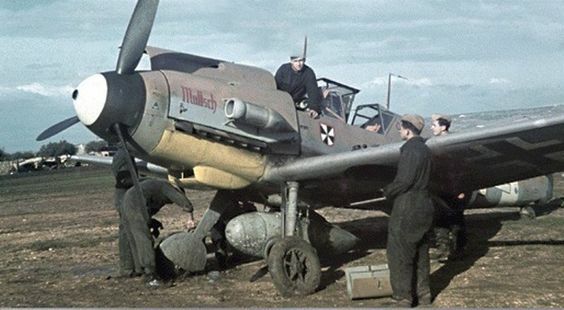 the serial number, tactical marking and unit of the previously unidentified Ju 87 D in the Ground Attack chapter)... I hope to publish volume 2 during next year. It will first come as printed edition again and only maybe one year later as a digital version (depending on the success). 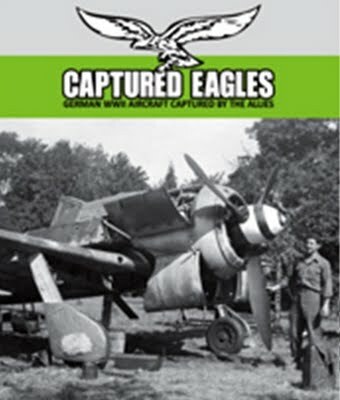 For other countries, readers should just enter "Captured Eagles" or "Gaemperle" into itunes to find the book in their corresponding regional itunes store. Elsewhere Peter Kassak has compiled a neat article devoted to ZG 1 over Slovakia published in the latest Eduard newsletter which should be familiar to all active modellers. Colin Heaton's latest title 'Star of Africa' is getting good reviews. "...Heaton understands and writes about WWII as a historian would, of the big picture and the tactics. But he also pulls out an ace card in this book and slaps it on the table. 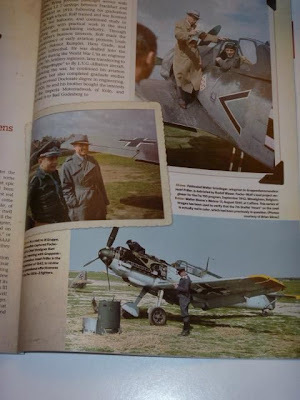 During the 80s, while he was an American soldier stationed in Germany, Heaton befriended and interviewed countless German pilots. At the time, these men were overlooked in their own communities, even shunned. But Heaton saw something where others didn't. 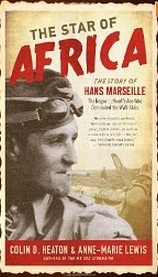 That's how this book brings something new and enthralling to the table--it's jammed with new stories from the veterans who knew Marseille, gems about Marseille strafing a comrade's tent, banging out jazz tunes on a piano in a room full of Generals, and ultimately, fighting with chivalry as a knight over the desert...."
om countries other than only Germany and Japan, etc., this "FLIGHT JOURNAL COLLECTORS EDITION" is a VERY special edition! Having purchased it earlier today and now in the middle of reading it, I will be putting this within the AXIS AIRCRAFT section of my aviation library when I'm done reading it. It is that unique, informative (nothing is recycled) and an outright aviation masterpiece. It's my opinion that this sets a new standard in a "magazine style" aviation publication. 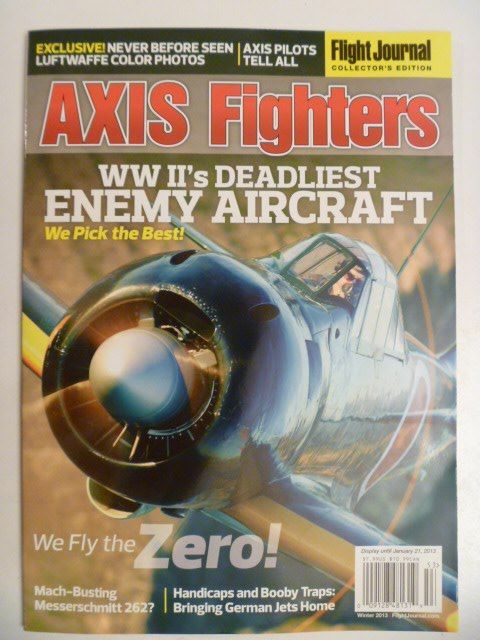 Some of the best aviation writers in the business (Tillman, Boyne, Smith, Creek, etc.) have definitely hit the target, compiling something refreshing different. You really owe it to yourself to pick up a copy before they're all gone. It's really a gift at $7.99!.." ..also available in the UK for only £4.25 in the larger branches of WH Smith. 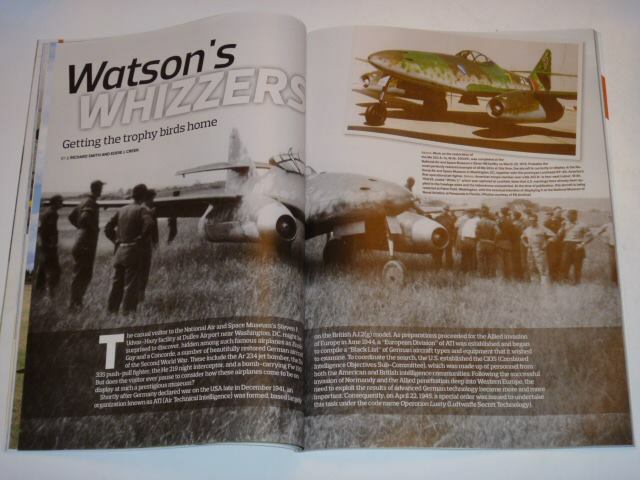 A nice publication indeed, certainly the Smith & Creek piece on 'Watson's Whizzers' is well worth checking out. 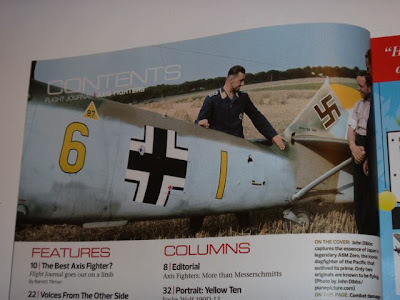 The JG 26 images from the Schroedter collection may not all be "previously unpublished" as far as I can see since some of them have certainly appeared in 'Luftwaffe in Focus' before now..